The fashion pack are off to New York to welcome the start of the spring/summer 2015 shows, so to celebrate here’s our guide to the ultimate fragrance hotspots in the Big Apple. Outside of Paris, Downtown New York probably has the highest concentration of delicious perfumeries anywhere in the world: flagship stores for niche brands, perfumery ‘boutiques’ (where you will be guided by experts towards fragrances you’ll love) – not to mention clothing stores where some interesting scents are merchandised alongside the frocks and furbelows. Here are The Perfume Society’s favourites (and our ‘woman-on-the-ground’ in NYC will be updating us on new openings in this fragrant city of delights). The debut store for an exciting new perfume concept: Sylvie Ganter and Christophe Cervasel have used modern fragrance technology to create long-lasting Colognes from materials not usually associated with this lighter form of fragrance, including patchouli, vetiver, rose. Inside, there are candles and soaps matched to the fragrances themselves (not available in most AC stockists), and occasional ‘exclusives’. 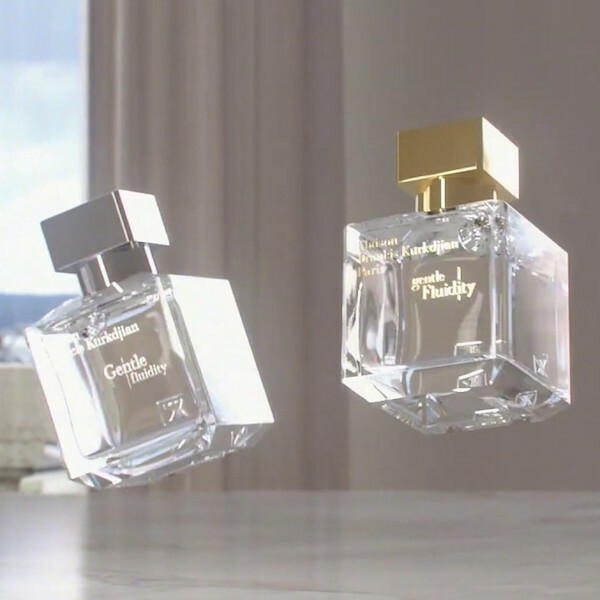 (We fell for Sous le toit de Paris, an airy ode to violet, created to commemorate the anniversary of Galeries Lafayette in Paris – it translates as ‘under the roof of Paris’.) 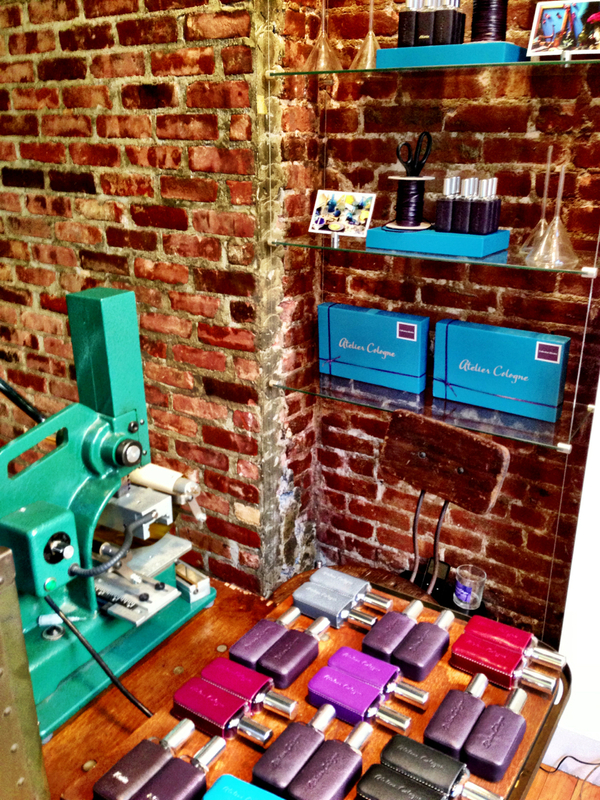 Any large size of fragrance comes with a travel flask of the same scent, embossed with a name or monogram – and the vintage press used for this service is right here on the premises, so you can see it being pressed before your very eyes. Super-passionate staff, too – and they offer regular customer events, so if you’re local-ish, sign up to be invited. Push back the heavy iron gates, and you’ll find yourself inside the spacious New York outpost of the legendary Florentine Santa Maria Novella fragrances. 80% of the space is given over to the fragrances, soaps and cosmetics which are still hand-made to ancient recipes by monks 3,000 miles (and a world) away from the bustle of New York. (The owner, a self-confessed fragrance junkie and lawyer, has an exclusive partnership with the Italian pharmacy.) 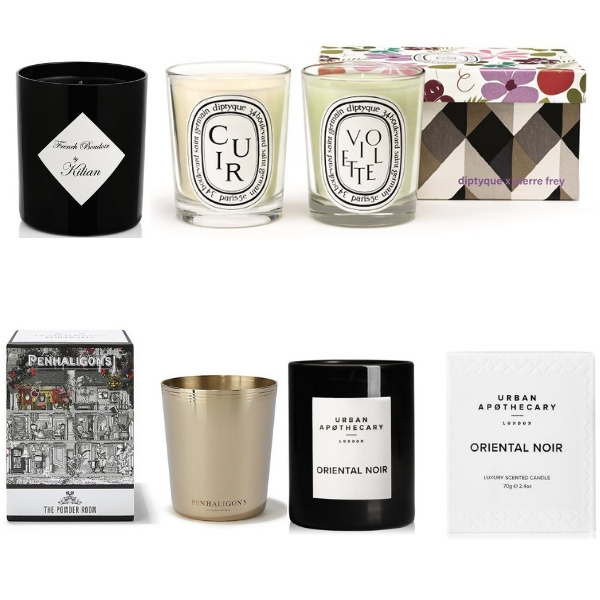 But at the back of the shop, there’s a contrast: Lafco’s own colourfully-packaged candles and home fragrances, designated for particular rooms in the house: you can tell this is a US brand, since one of the locations is ‘Pool House’. PS We believe SMN’s pot pourri is the best in the world: buy a beribboned box, and its signature spiciness will be filling your living room years later, or tuck one of the ‘cornets’ of pot pourri in your lingerie/cashmere drawer. Moths hate it. We spent hours mooching here. Hours! MiN is unique: we can’t think of another fragrance retailer which features an in-house cocktail bar (though we can easily see why you’d still be hanging round at sundown, having whiled away a day on the leather couch being led by the hand through the store’s ranges by very well-informed staff). 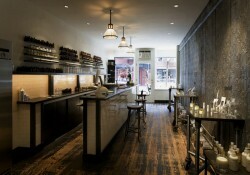 Min New York also hand-make their own beautiful candles, which come in exquisite porcelain jars. 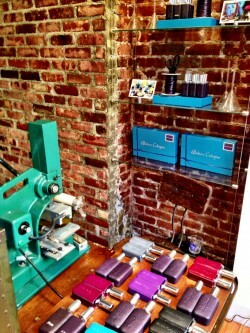 In the corner, meanwhile, is a ‘Men’s Den’ with grooming essentials sourced from around the world. For $250, you can have a lengthy one-on-one bespoke fragrance consultation. A treat for all the senses – and both sexes – this one, and again, they have a busy events programme to delight and educate fragrance-lovers. The counterpoint to MiN MY’s dark, library-esque interior, Osswald is sleek, clinical and dazzlingly-lit – so no surprise to discover it’s the New York outpost of a legendary Swiss perfumery and beautique. Don’t be shy to climb the three steps and enter (it can feel a teeny bit intimidating): not only are the staff super-knowledgeable but independent browsing is easy, because Osswald have helpfully listed all the key ingredients in each fragrance on the underside of the tester bottle. (We wish every perfumery did the same.) A spectacular collection of niche fragrances is showcased here – from Phaedon to Huitième Art, MDCI to Pro Fumum, Arquiste and Francis Kurkdjian (who’s made personal appearances here as part of Osswald’s events programme; do sign up). 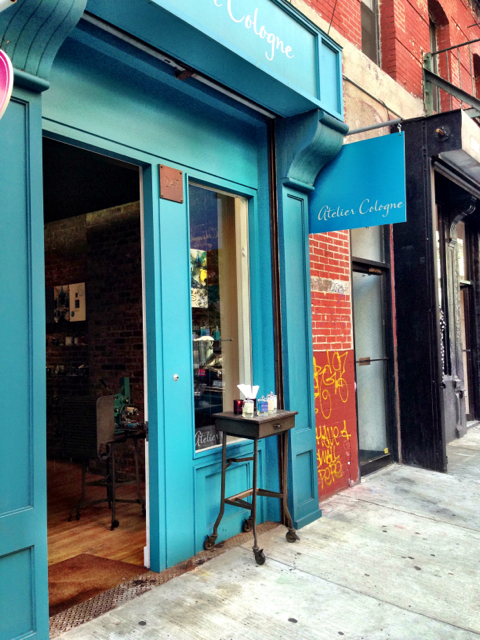 One side of the store is devoted to high-end skincare (By Terry, etc.) 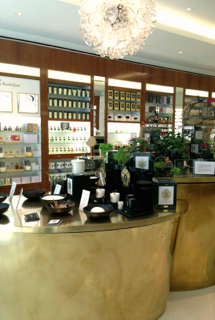 – and behind the counter is a backlit ‘altar’ to perfumery, featuring literally hundreds of luxury samples collected by the owner over the years. Do walk to the back of the store, and marvel. Slightly off Soho’s beaten track, but this lower end of the neighbourhood is coming up fast – and worth the shoe leather. 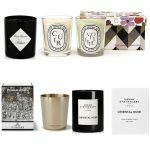 Among the mix of edgy clothing, homewares, carpets and books features a small edit of fragrances, candles and bath products that is always worth checking out – but changes regularly. (Tocca’s seem to be in the permanent collection, as are Happ & Stahns, and Chant de Dols, from the Le Labo creators. What does New York smell like? Hot pavements? Hot dogs? Warm subways? Well, Bond No. 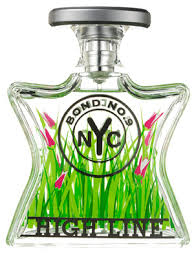 9 now has over 60 interpretations of the city, including scents confected for Park Avenue, Broadway Nite, Nouveau Bowery, High Line and Nuits de NoHo, spanning every fragrance family. You could spend quite a few hours travelling through the streets of New York without ever leaving this colourful store at the southernmost tip of the East Village. Most special of all: at one end of the huge, rectangular, high-ceilinged yet intimate-feeling space – where frequent fragrance soirées are hosted – are some comfy wingback chairs into which VIP customers are invited to sink and drink one of dozens of teas on offer, while in-house Master Blender, Polish-born James Slaba, literally blends the perfume of their New York dreams. How so? James identifies personal preferences, then custom-blends a fragrance, mixing and matching from Bond No.9’s portfolio – almost the only place (other than Floris in London) where we know this ‘personalisation’ of off-the-shelf fragrances can be experienced. 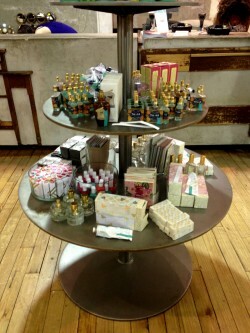 Founded in 1838, this legendary pharmacy – the oldest in America – has morphed into a general fragrance and beauty heaven. 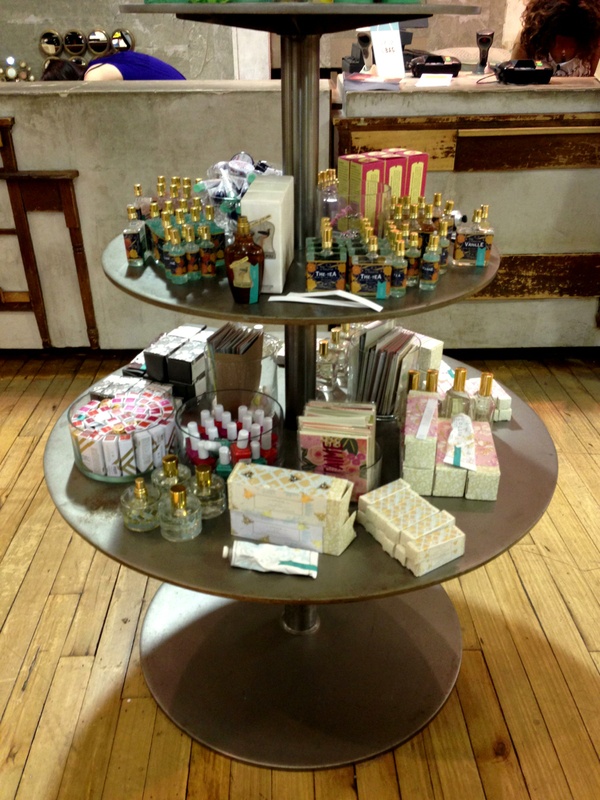 (There aren’t many stores visited by Mark Twain where you can shop for fragrance today, NB!) 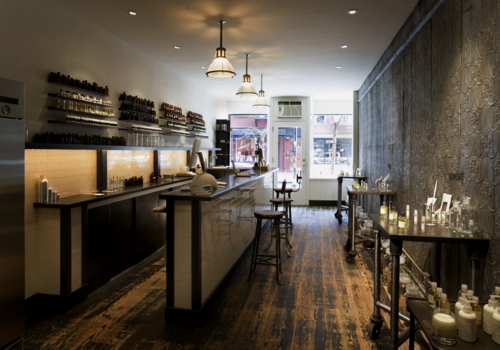 With an eclectic selection spanning everything from homeopathic remedies to hairgrips via skincare and make-up, Bigelow also features a wall of scents, many of them unavailable anywhere else in New York. It’s essentially self-serve (well, nobody asked if we needed help in the 30 minutes we spent there), but testers for each range are grouped on trays. Spritz your way through scents from far and wide: Carthusia and Profumo di Firenze, Esteban, Tallulah Jane perfume oils – and their own long-lasting perfume oils: mostly single notes like Freesia, Amber, Magnolia, Lily of the Valley… The selection is seriously overwhelming – and that’s before your eye’s drawn to the make-up, the lip balms, the soaps and countless drugstore finds. If you do ask, the staff are knowledgeable, charming and happy to help. 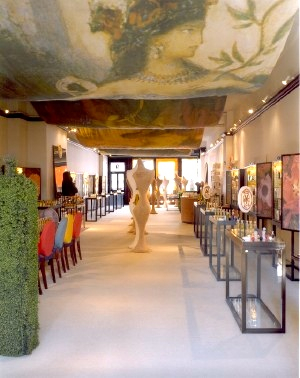 Almost 20 years ago this store (at a basement location just across Christopher Street) helped pioneer the introduction of niche fragrances to New York – and it’s still an exciting destination, not least because they now offer their own fragrances, several of which were created by the legendary Bernard Duchaufour in collaboration with L’Artisan Parfumeur. Naturally, that whole range is one of the dozens showcased here, which also includes Agonist, Ambra di Venezia, Jul et Mad, Escentric Molecules, Thirdman, Rahua, Lubin, Olfactive Studio – we could go on and on). The Aedes fragrances are a must-try: Aedes’s Signature for instance, features rhubarb in the blend, while recently-introduced Iris Nazarena is focused around iris, made smouldering and dark with touches of patchouli and incense. The boutique is pretty smouldering and dark, too, as it happens: rich velvet drapes, stunning floral displays, vintage cabinetry and lots of gold and statuary. Can we be frank? It’s often hard to get the sales consultants’ attention, even when there isn’t another soul around – although maybe that’s part of encouraging customers to browse, without pressure. (That’s what we’d LIKE to think, anyway…) But if you want assistance in this treasure trove, you may need to ask. Aromatherapy is less well-known but also much-abused in the US (unlike in Europe, where it has its roots): many people’s knowledge is still based on mass market ‘aromatherapy’ products for bath and body – at which barely a sprig of lavender has been wafted. But Enfleurage is truly the New York HQ for genuine aromatherapy: a Zen-like sliver of a shop in the West Village which offers regular classes and courses for anyone who wants to deepen their knowledge of essential oils. That makes it useful for would-be perfumers (they have plenty who attend), or any individual who’d like to learn to identify individual oils and notes as part of training their nose and deepening their appreciation of the scented world. 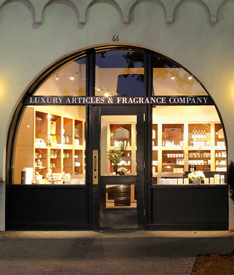 The shop offers a huge range of teeny bottles of high-quality, sustainably-sourced essential oils (that’s an important factor, at Enfleurage), plus many base oils and cosmetic ingredients – including, notably, many incense ingredients including white frankincense and black frankincense, sourced by the owner himself. (We hadn’t realised there was a difference, either – but dip your nose in the jar and it’s quite an eye-opener. Or maybe a nose-opener…?) Check out the roll-on blends, in a jojoba base: from Rose and Jasmine to more complex Serene Spirit or Sanctuary. Gorgeous votive and incense holders, too. Boy, can appearances be deceptive. When a sandwich board outside proclaims ‘Pet Medicines Fulfilled’, it doesn’t seem to bode well – but don’t be put off: this is perfume paradise, with some of the most enthused staff that The Perfume Society encountered during all our New York research. The New London Pharmacy was just a pharmacy for a couple of decades – but when a rash of similar businesses opened nearby, owners Abby Mousakitis-Fazio and her husband knew they needed a point of difference – and had the idea of coming up with a perfume destination that takes the fear factor out of fragrance-shopping. Relatively well-known brands like Etat Libre d’Orange, Boadicea the Victorious, Juliette Has a Gun, Fragonard, Annick Goutal, Histoire de Parfums, CREED are showcased alongside some really off-the-wall finds like Tokyomilk, Gli Invisible and Teatro Olfattivo (Italian Hide Soliani’s brand) and Brooklyn-based D.S. & Durga (the pharmacy’s bestselling line, when we visited). Great home fragrances, too (we are a little bit in love with Nest’s White Narcisse, in its exquisite porcelain jar). 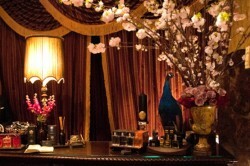 Wesley Rowell is the hugely passionate consultant who’ll lead you by the hand/nose towards possible loves – but what also sets this place apart is an extraordinary selection of ‘lost’ fragrances, sourced by Alo: our eyes popped out to see vintage Arpège, original Chloe, Balmain, Gucci and so many more. 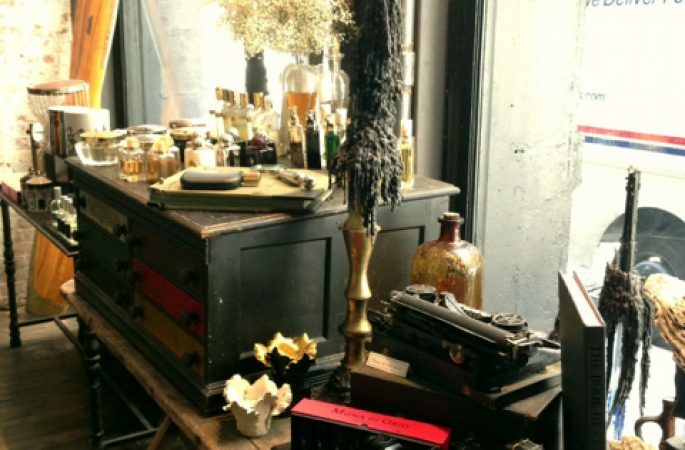 (They make up about a third of the offering, and Alo likes nothing better than to play Hercule Poirot and try to track down discontinued scents for customers.) New London Pharmacy organise lots of perfume events (they work closely with Sniffapalooza, too) – and despite the lack of glamour factor and the dazzlingly bright pharmacy lighting, this is a truly special destination. Go out of your way to stop by – and, just as importantly, shoot the (scented) breeze. And say ‘hi’, from The Perfume Society. 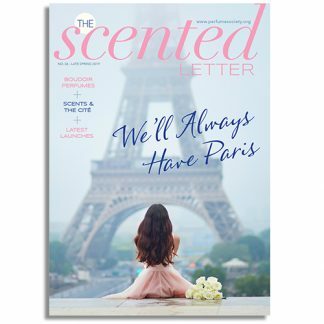 If you enjoyed reading up on scent shopping in New York, we also have guides to Paris and Florence, too – with lots more on the way!